3”x3” | 20 pcs photo magnets 75x75mm | Customised square photo fridge magnets made from your own pictures. 2”x2” | Set of photo magnets 50x50mm | Customised square photo fridge magnets made from your own pictures. Announcement Welcome to InstaCafe! 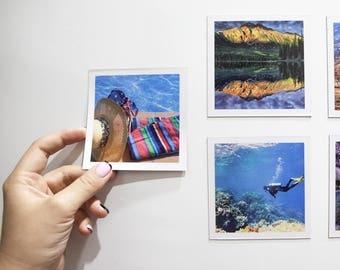 With our help, you can create personalized photo strips, refrigerator magnets, square insta prints, and more, so you can enjoy your favorite photos all day, every day! Welcome to InstaCafe! With our help, you can create personalized photo strips, refrigerator magnets, square insta prints, and more, so you can enjoy your favorite photos all day, every day! 2”x2” | Photo magnets 50x50mm | Customised square photo fridge magnets made from your own pictures. 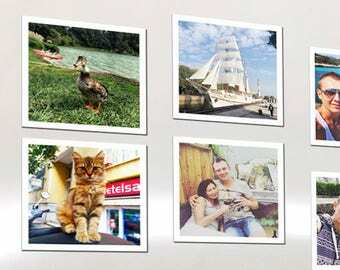 3"x3" | 50 pcs photo magnets 75x75mm | Customised square photo fridge magnets made from your own pictures. 50x50 mm | Set of 12 photo magnets. 2”x2” | Customised square photo fridge magnets made from your own pictures. 3”x3” | 4 pcs photo magnets 75x75mm | Customised square photo fridge magnets made from your own pictures. 3”x3” | 12 photo magnets 75x75mm | Customised square photo fridge magnets made from your own pictures. 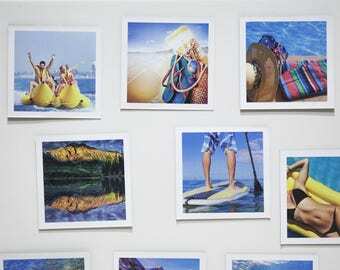 3”x3” | 100 pcs photo magnets 75x75mm | Customised square photo fridge magnets made from your own pictures. 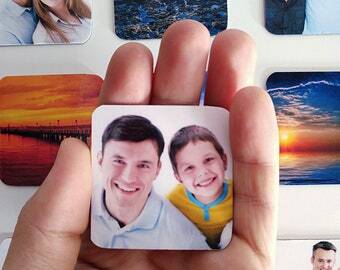 2”x2” | 100 pcs fridge photo magnets 50x50mm | Customised square photo fridge magnets made from your own pictures. 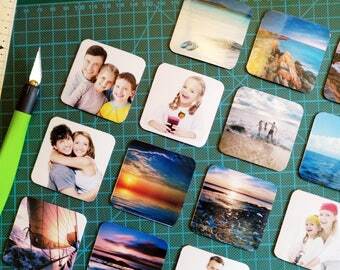 50x50 mm | Set of 24 photo magnets. 2”x2” | Customised square photo fridge magnets made from your own pictures. 2”x2” | 40 pcs fridge photo magnets. 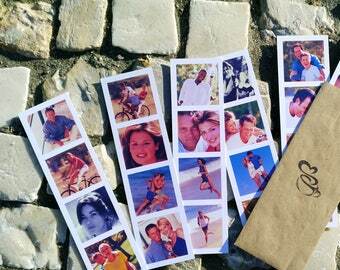 50x50mm Customised square photo fridge magnets made from your own pictures. Fast shipping - clear, clean, shiny magnetic photos - they appear very durable and well constructed. Love the small pop of color and photo it adds to fridge, desk, and metal garage doors. Great gift for my in-laws. Very cute! 50x50 mm | Set of 6 photo magnets. 2”x2” | Customised square photo fridge magnets made from your own pictures. 2”x2” | 8 pcs photo magnets 50x50mm | Customised square photo fridge magnets made from your own pictures. Our latest offer is here! Square photos in Instagram style! 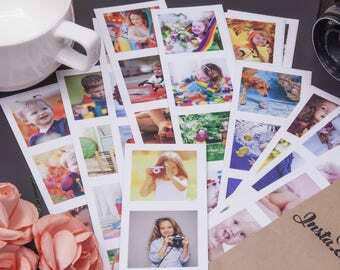 Stop saving photos on your phone - and let them become a part of your home! Photo magnets 3"×3" are being shipped to New York and Washington. Thank you for your trust! The magnet order for Nicole from New Jersey is ready for shipping! We create beautifully unique personalised photo gifts. If you’ve got photos in your phone but not in your home, you’re doing it wrong! Great photos and sentimental moments should be enjoyed every day and not archived away like boring old documents! We take pictures of beautiful places, favorite people, and important events for a reason – we want to remember them – and all those wonderful photos deserve to be seen and enjoyed all day, every day. I’ve definitely been guilty of archiving great photos myself. Having lived in Portugal – a place with many beautiful sights to photograph – for many years, I had accumulated hundreds of photos but had none on display, so, I became determined to find a creative way to make my favorite photos part of my home. As a long-time hobbyist photographer and professional graphic designer, I wanted to use my skills to create a way to display high-quality photos in a fun and modern way (not in an album or scrapbook), and refrigerator magnets seemed like the perfect idea. After all, I haven’t looked through a photo album in years, but I look through (and at) my fridge every single day! Now that I have my best photos on display, it’s your turn! 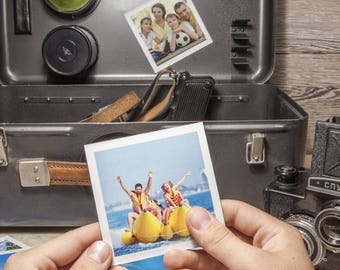 Turn your favorite photos into personalized photo strips, refrigerator magnets, and prints, and make your best memories part of your everyday life!